Site-specific drug delivery and targeting attracts much research interest from both academia and industry, but because of the many challenges faced in the development of these systems, only a handful of targeted therapies have successfully made it into clinical practice. Focusing on the delivery technologies that utilize both systemic and local routes of administration, Targeted Delivery of Small and Macromolecular Drugs brings together field experts who summarize current progress and discuss novel ideas currently being explored to overcome these challenges. 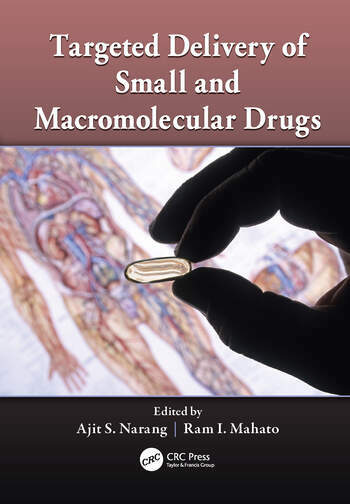 The book demonstrates why targeted delivery is one of the most exciting contributions pharmaceutical sciences can make to drug therapy. Ram I. Mahato is a full-time professor in the Department of Pharmaceutical Sciences at the University of Health Science Center, Memphis, Tennessee. He was a research assistant professor at the University of Utah, Salt Lake City; a senior scientist at GeneMedicine, Inc., The Woodland, Texas; and a postdoctoral fellow at the University of Southern California in Los Angeles, Washington University in St. Louis, and Kyoto University, Japan. He is an author or coauthor of 79 peer-reviewed articles and book chapters, and has edited/written three books. He is also a special features editor of Pharmaceutical Research and serves on the editorial boards of the Journal of Drug Targeting, Expert Opinion on Drug Delivery, and Transplantation and Risk Management. His research includes delivery and targeting of small molecules, oligonucleotides, siRNA, and genes.